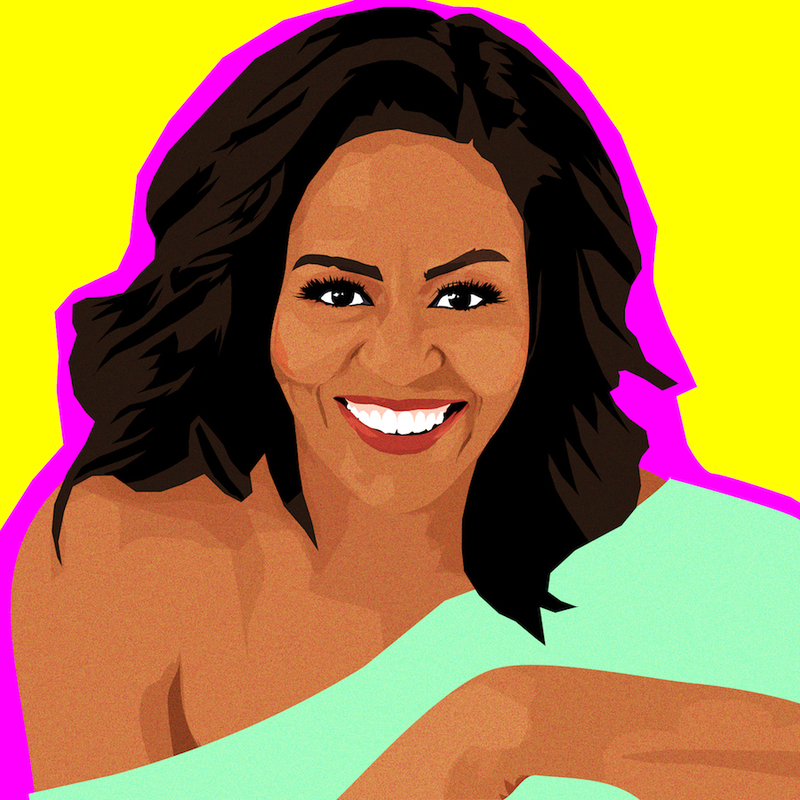 Today is former first lady Michelle Obama’s birthday. To celebrate her impact, this HG contributor reflects on what the cover of Obama’s memoir Becoming means to her as a Black woman with big dreams. 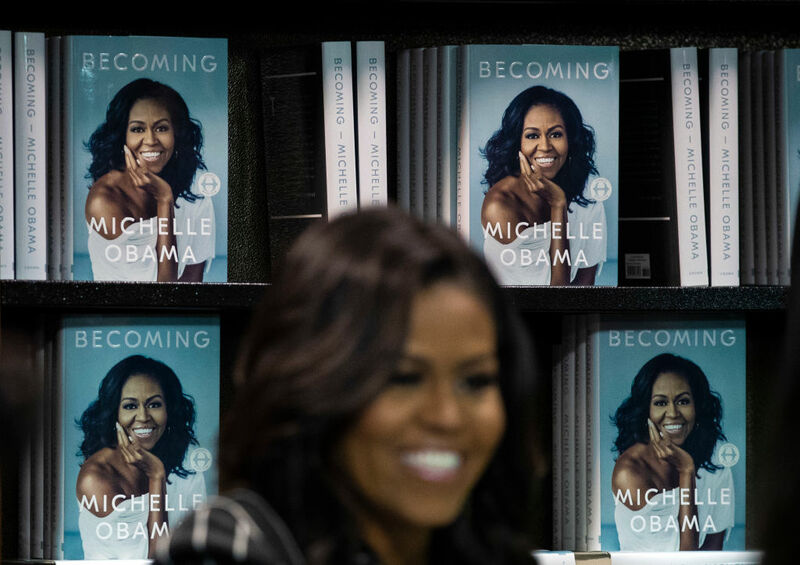 When I first saw the cover for Michelle Obama’s memoir, Becoming, it was like staring into a mirror. In her eyes and smile, I saw myself: A smart, ambitious overachieving Black woman—equal parts strong and soft. Since reading her bestselling memoir and attending the kickoff for the book tour in her hometown of Chicago, I’ve felt a fire lit under me. 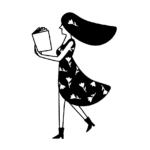 I am motivated to think bigger and bolder when it comes to my own dreams of becoming a published author, public speaker, and working mom. 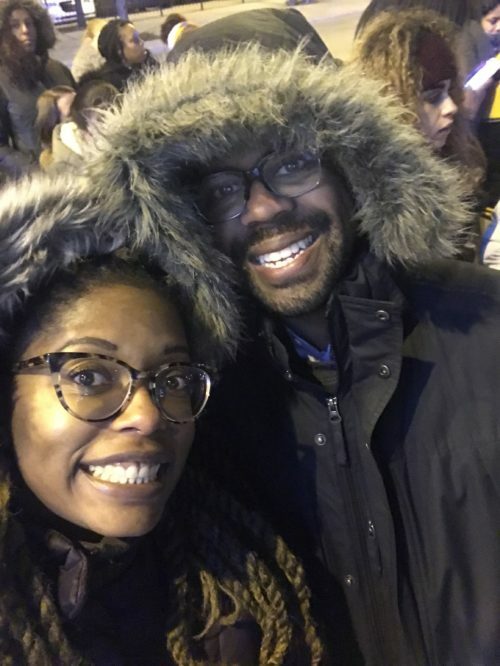 My husband and I stood in line in the freezing cold, waiting to enter a sold-out United Center for our chance to breathe the same air as the former first lady during her conversation with Oprah. Before I even entered the venue, I was in awe of Obama’s name and face in lights. The energy in the air was similar to that of a Beyoncé concert (and I’d paid Beyoncé money for us to be there). If Michelle, a Black girl from the South Side of Chicago, could sell out an arena for a book tour, surely I, a Black girl from Belcamp, Maryland, could go after my own dreams—no matter how crazy they seem to the outside world. 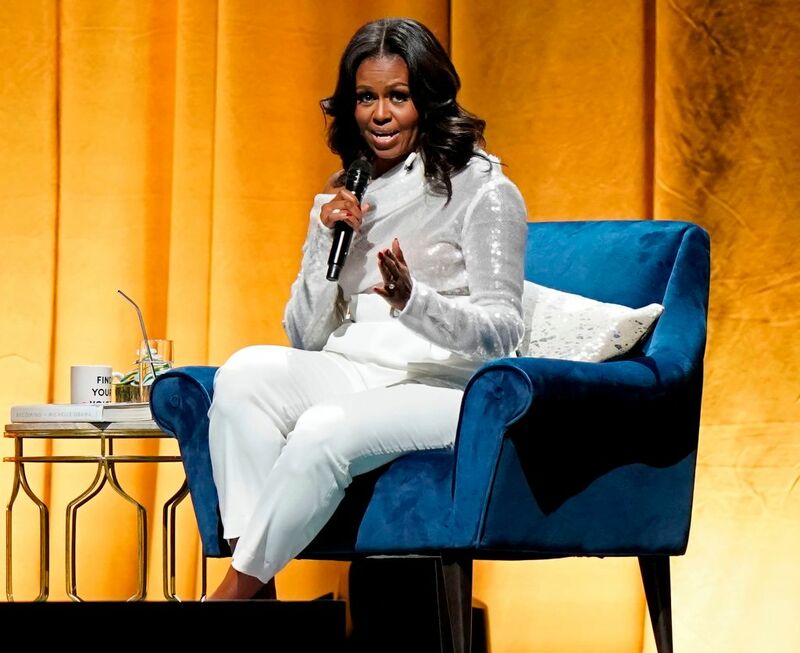 When we returned home after two hours of soaking up all the #BlackGirlMagic that was Michelle and Oprah, I remarked to my husband, “I love Bey, but I might love Michelle even more.” To be clear, both women are rockstars in their own right, but for me—a darker-skinned girl without a waist-length blonde weave who can’t carry a tune—Michelle is a more attainable aspiration. Sure, I will most likely never become first lady, but I can eventually write a book and become an international speaker. And while I may not sell out arenas, I can sure as heck host a badass book tour someday. And as Michelle has so artfully demonstrated in her life and in her book, I can become a mom without sacrificing my career and be an awesome wife without losing my identity. Back in the day (okay, back in 2013 when I first read Sheryl Sandberg’s Lean In), I truly believed that I could have it all. I mean, Sheryl made it look so easy. Like, if I just tried hard enough, worked hard enough, leaned in hard enough, then the world would open up to me. That was six years ago, back when I was a wide-eyed journalist aspiring to become a big-city magazine editor. But if I’ve learned anything in the last six years, it’s that priorities shift. Success looks different for each person. And we don’t need to break our backs in order to get it all done. It’s okay to drop a ball here and there—we aren’t superwomen. When I look at the cover of Becoming, I see my hopes and dreams reflected back at me. I see the woman that I am becoming. I see myself. Seeing Michelle on stage that night (and then later on the interwebs in those Balenciaga boots), I’m inspired to dream bigger, dream bolder. Anything is possible, and I’m just getting started.